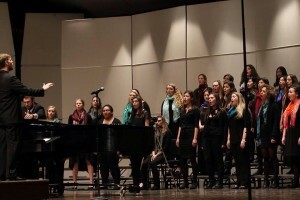 Description: The Master of Music in Performance concentration in Choral Conducting is designed for the outstanding musician who aspires to a career as choral conductor at the high school or college level. In order to provide maximum conducting experience, the program is kept very small. Private studio instruction combined with large-ensemble podium time is at the core of the curriculum. 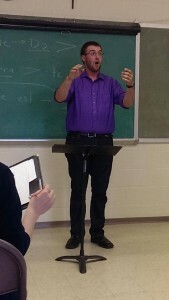 In private lessons and seminars, conductors will refine their conducting and rehearsal techniques, develop score preparation skills, explore choral literature, and continue to develop a broad knowledge of music history and theory. Admissions Requirements: To enter a graduate music degree program, prospective students must meet the admissions requirements of both the Graduate School and the Department of Music & Dance. Complete the Application for Admission as instructed. The application and submission of accompanying materials (transcripts and letters of recommendation) must be completed prior to the audition date. NOTE: There is no separate application for Graduate Teaching Assistantships. Applicants wishing to be considered for a GTA should check the appropriate box on the Graduate School Admission Application and discuss their relevant experience in the Personal Statement. International applicants: The Test of English as a Foreign Language (TOEFL) is required of all applicants for admission to the Graduate School who are not citizens of the United States and whose native language is not English. A score of 550 (213 on the Computer-Based Test) or above is required for admission. The TOEFL requirement may be waived if the applicant has attended an American university on a full-time basis for a period of at least two academic years immediately preceding the anticipated entrance date. 1) Email a current résumé to the Director of Choral Activities. ✳The camera angle should show a full frontal view of the conductor. ✳The choral sound and comments from the conductor must be clearly audible. ✳Label the DVD with your full name and the name of the ensemble. The DVD will not be returned. ✳If the video is uploaded to Youtube, email the Director of Choral Activities the URL for accessing the video. Include the name of the ensemble in your email. On-Campus Auditions: Candidates selected for an on-campus audition will be contacted by the Director of Choral Activities to schedule the audition and discuss repertoire to be conducted. Auditions are generally scheduled in early spring. 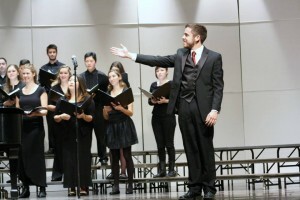 The on-campus audition consists of conducting/rehearsing the Chamber Choir for 20-30 minutes, an interview with the Director of Choral Activities, and a solo vocal piece. 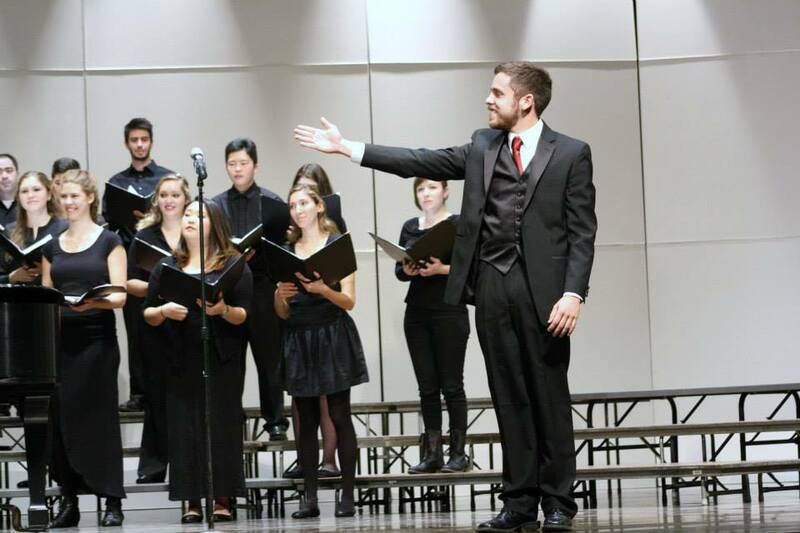 Acceptance into the MM in Choral Conducting Program: Candidates will be contacted by email or phone with a decision within one week of the on-campus audition. Conductors accepted into the program are eligible to receive a Graduate Teaching Assistantship (see the Graduate Music Student Handbook for more information) and other forms of financial aid. The MM in Choral Conducting generally requires two years of full-time study. Diagnostic Placement Tests in music history, music theory and aural skills are required of all entering masters students before they enroll for coursework. In the second year of residency, the candidate will present a public recital. Repertoire will be chosen by the candidate and approved by the Director of Choral Activities. All MM students must take a one-hour comprehensive oral examination. Three faculty members who are appointed by the Graduate Program Director will conduct the examination. The major professor serves as one member and the chair of the committee, plus one faculty member each from music history and music theory.